The best thing about brunch is that you don’t need to set your alarm and wake up early. And now, just when you thought brunch couldn’t get any better, restaurants in Liverpool are now serving up bottomless brunch – a cacophony of unlimited prosecco and more avocado on toast than you can eat. There’s no better way to begin your day than knocking back unlimited glasses of prosecco or devouring a cocktail or two! And at these delicious restaurants you can do just that. So, take a look at our pick of some of the best places to eat bottomless brunch in Liverpool. Located on the banks of the spectacular Albert Dock, Panam serves a bottomless brunch in Liverpool like no other. Bottomless Brunch at Panam is the perfect way for you and a friend to relax and catch up or for partygoers to kick start their weekend in style. Every Saturday between 11am and 4pm, Panam lay on a two-course brunch bonanza which includes unlimited Bloody Marys or prosecco. Make sure you try Panam’s famous pancakes which are some of the best pancakes in Liverpool, coated in whipped cream, fresh seasonal berries, blueberry jam and maple syrup. You won’t regret it. This bottomless brunch is so bottomless that The Baltic Social can only hold it once a month; and for good reason. Sit down at either 11am or 1:30pm and prepare for a menu of nonstop treats. Sit back and eat until you can’t eat no more as the food just keeps on coming. There’s also unlimited beer and prosecco for the entire time you’re at your table. Booking is not just recommended, it’s required. When pay day comes, head on down to The Baltic Social for one of the biggest and best bottomless brunches in Liverpool. Every Saturday and Sunday from 10am to 1pm, Neighbourhood serve one of the best bottomless brunches in Liverpool. You can choose from a menu of unlimited non-alcoholic drinks, seasonal cocktails, Bloody Marys – for those recovering from the night before – and prosecco to accompany your brunch. Dishes on the menu include chorizo, patatas bravas, tomato salsa and soldiers or the delicious Brunch Salad, which consists of spinach, crumbled bacon, croutons, avocado and sun dried tomatoes. And, of course, they serve avocado on toast in order to satisfy your Instagram needs! Located inside the movie-themed Arthouse Hotel, Mulholland Singing Diner is the place to be for movie lovers who love to brunch. 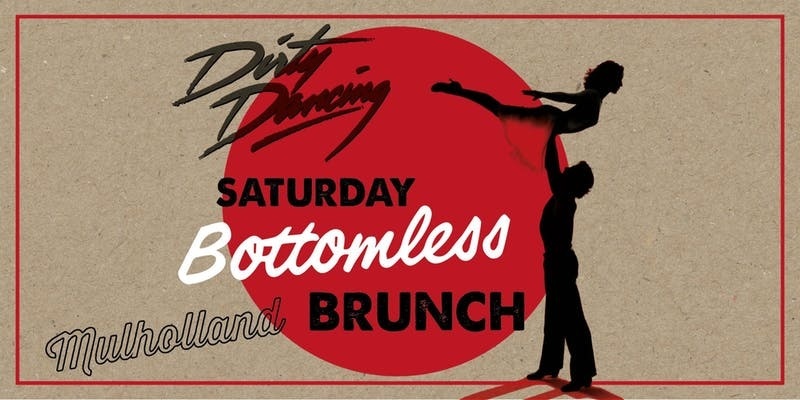 Every Saturday until the last day of August, diners can have “the time of their lives” at Mulholland’s Dirty Dancing Bottomless Brunch. Choose from a menu of classic American dishes which includes succulent streaky bacon, Southern fried chicken and sweet potato fries. Plus, you may even get the chance to do some Dirty Dancing of your own, as a host of live performers re-enact scenes from the much-loved movie as you eat and drink. 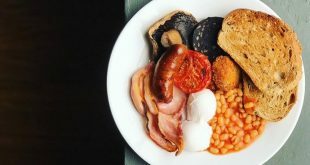 Located along scenic Castle Street, check out the delicious eatery Castle Street Townhouse in Liverpool, the undisputed kings of breakfast and brunch. With a vast menu of meals, ranging from quaint starters such as Chicken Liver Pate to an 8oz Rib Eye Steak, and numerous cocktails to choose from, there’s nowhere nicer to eat bottomless brunch in Liverpool. Check out their decadent Pan-fried Salmon which includes a side of watermelon, radish and broad beans, or the meaty Chicken Supreme which is drenched in a smoked paprika and tomato creamed sauce, for a luxurious take on bottomless brunch. This historic pub dates back to 1870, originating firstly as a coffee shop, later as an oyster bar and now, as one of the best places to find bottomless brunch in Liverpool. Ma Boyle’s serves a variety of brunch offerings, but it’s their Breakfast Burrito that they’re famous for. Jam-packed with peppers, potato, onions and tomatoes, Ma’s Breakfast Burrito is to die for and, luckily for you, takes pride and place on their bottomless brunch menu. One of Liverpool’s longest-established eateries, Ma Boyle’s is the perfect place to be on a Sunday morning. At Las Iguanas, you can choose from a delicious starter and a mouth-watering main from the brunch menu and wash it down with unlimited prosecco or Braham beer. Available in two-hour slots from 11am to 5pm by reservation only, this brunch menu is jam-packed with South American treats, be it tasty enchiladas or colossal Cuban sandwiches. But, when it comes to starters, make sure you try their cheese and mango empanada which is loaded with sticky jam and gooey brie. 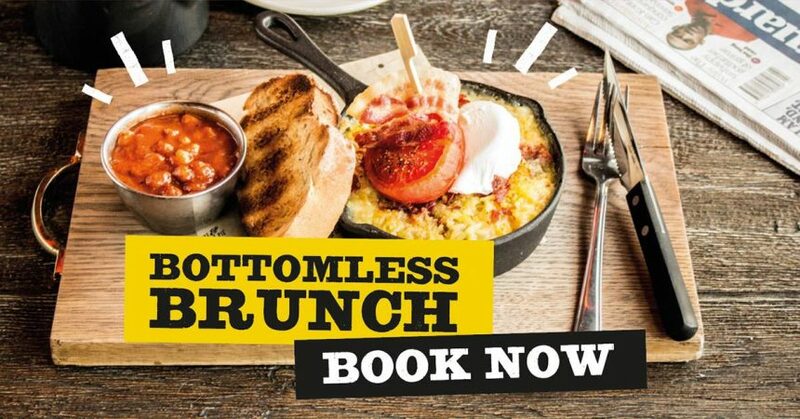 For a South American meal like no other, head down to Las Iguanas for the spiciest bottomless brunch in Liverpool. Speaking of South American food, Lucha Libre is certainly worthy of attention. This tasty restaurant serves brunch with a Mexican twist. Every Sunday, you can upgrade your brunch to include bottomless Mimosa’s or Bloody Mary’s for just £15. Tucked away in between Bold Street and Concert Square, this laidback cantina serves hearty brunch dishes infused with Mexican spirt and flavour. Lucha Libre’s extensive and delicious menu ensures that there is something for everyone to eat. When it comes to the weekend, Pieminister has something special to offer. Liverpool’s pie specialists, this Bold Street staple is the perfect place to enjoy a juicy pie and a glass of prosecco. Bottomless brunch is every other Saturday, with the occasional Sunday special – but spots are limited. At Pieminister, you can choose from a wide range of brunch options including pies, (of course) pasty’s, and plates of macaroni and cheese. Head up Bold Street for Pieminister’s ‘Bangin’ Bottomless Brunch’ – their words not ours. Have we missed the best place for bottomless brunch Liverpool? 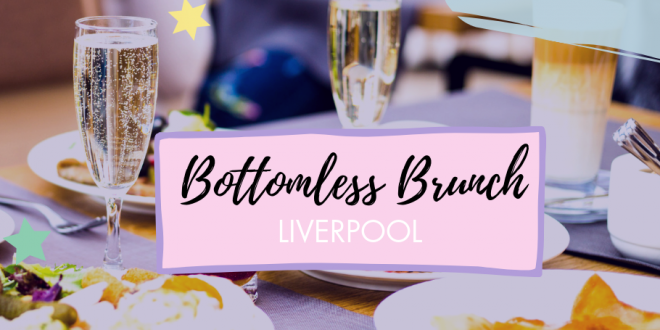 It’s hard to choose the very best place for bottomless brunch in Liverpool, with so many amazing places offering such delicious and tasty treats that are guaranteed to get your mouth watering. Have we missed your favourite brunch haunt? Think we should add some more to the countdown? Let us know on our Facebook Page. And make sure you leave some room for dessert and check out our guide to the best places for dessert in Liverpool. Jack has a Masters degree in English Literature from Liverpool Hope University. Jack is also a copywriter who is passionate about football, books and the amazing city of Liverpool.